SHAREit is an application that makes it possible to share and transfer files using a direct Wi-Fi connection. This can be done using tablets, phones and computers. With the application, you no longer need to rely on cloud storage when exchanging content. However, the app only works with devices that are SHAREit -enabled. It does not work over a general Wi-Fi connection. Instead, it creates its own direct wireless connection with a number of devices. When successfully connected with other devices then any file(s) can be shared. The best part of this app is that it does not restrict usage. It is multiplatform. SHAREit can easily run multiple transfers all at once. This is one of the biggest advantages that comes with this application. Its process is quite similar to that of Xender. All you have to do is select the files that you want to transfer and click on the ‘send’ button. Transfers are done in a matter of seconds provided the connection is stable. SHAREit comes with a PC connectivity feature that allows you to control all the files that ate on your smartphone right from your computer. This makes presentation much easier. • First of all, visit the SHAREit official website by typing it into your browser search box. Once you get to the site, you will come across a windows button that will enable you to download the SHAREit windows version for your PC. 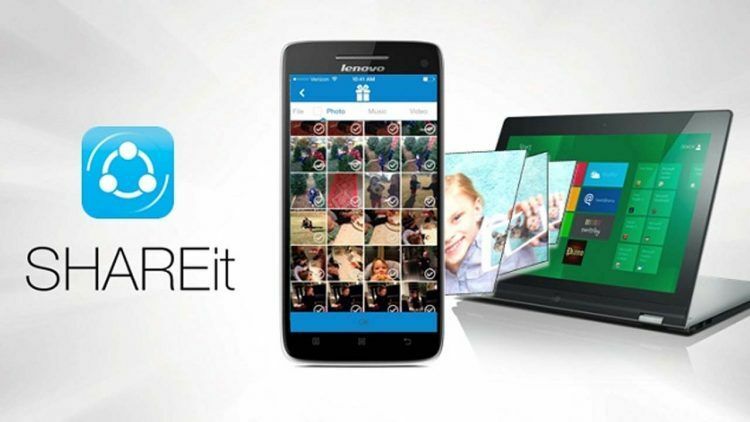 • Once you download the SHAREit exe file to your computer, double click on it. A pop up menu will appear on your screen that will instruct you to select the ‘RUN’ button. Once you do this, another pop up will appear where you have to click on the ‘Yes’ button. • Once installed and launched on your computer, you simply need to open the connection on your device and thereafter select between the ‘send’ and ‘receive’ options. This is one of the best applications that we can use in everyday life. It is highly convenient when it comes to sharing photos, videos, apps and more across devices. If you love transferring files with your friends then SHAREit is a must-have. It comes with an enviable transfer speed. (Up to 20mbps). As such, it is 200 times faster than Bluetooth transfer. Players download it today!